Hair hair hair - Mermaid waves, Straight & Natural curls. 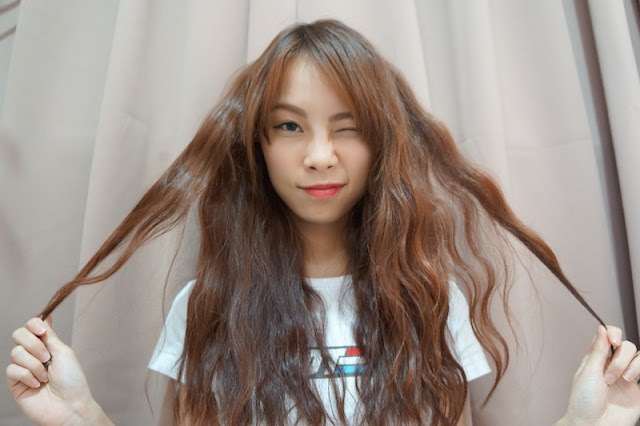 When it comes to beauty, the hairstyle will never be overpassed. A perfect hairstyle will beautify you apart from your outfit or face. Different hairstyle can even make you look 10 times younger. 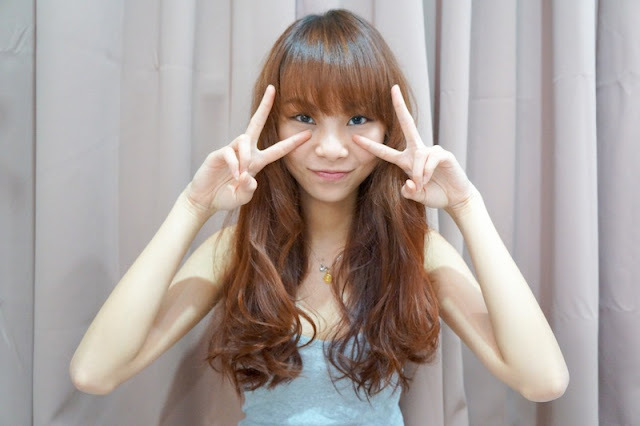 For me, bangs will do. 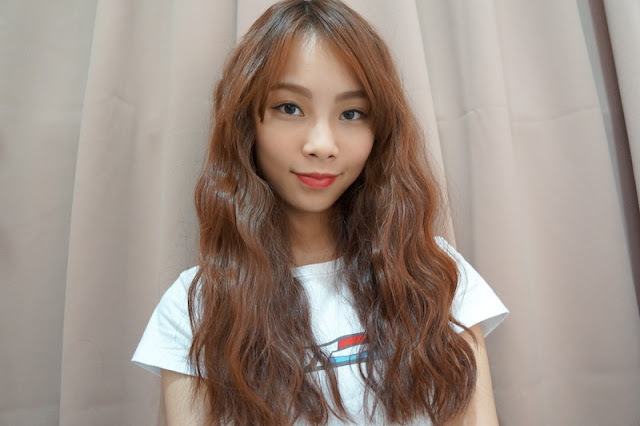 With bangs, in straight and natural wavy hair look. I'm loving all the looks because they can easily match with my everyday outfit. Just in case you ask, I'm styling my hair with the 2 new products I gotten from Messtly Tan. 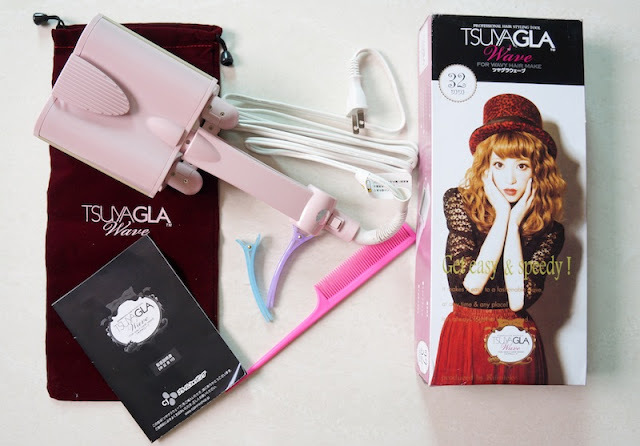 Tsuyagla Triple Barrel Curling Iron (32mm). 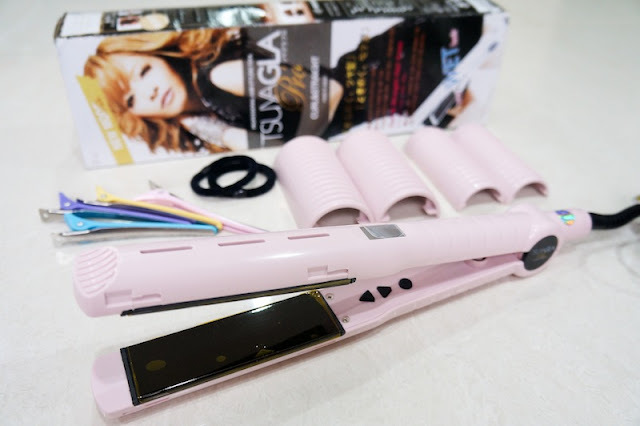 Tsuyagla Pro 4-in-1 Hair Straightener and Hair Culer. It comes with 2 sets of barrels (38mm & 50mm). 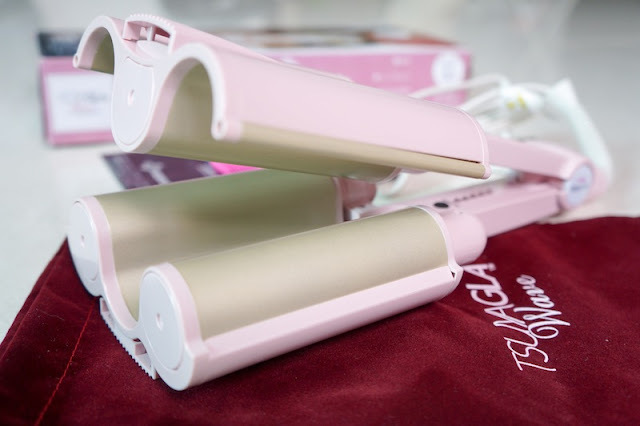 The iron itself is designed in a round-shaped, which can use to style 32mm curls. 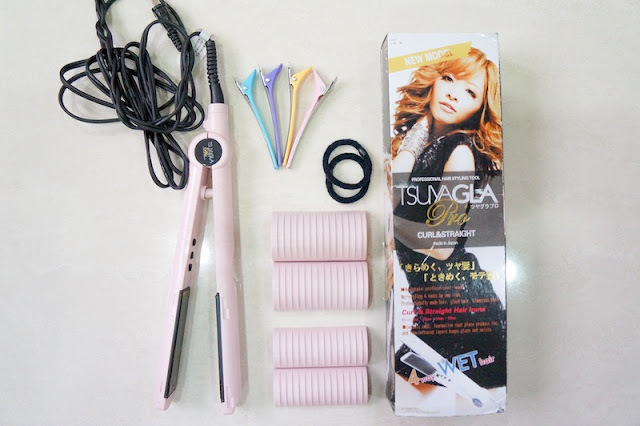 The awesome part of this tool is that it can be used on both dry and WET hair. OK maybe not WET WET hair, half dry hair, get it? Quote 'bwincessnana' to get 5% discount of all items plus free nationwide delivery fees within Malaysia. Promotion valid from 18th July to 17th August 2013.
heart ur hairstyle so much! Hello! Your Tsuyagla seems to be a fake one. Sorry for pointing out as I was checking reviews on it.